I love National Bike Month. It’s spring, and all is right in the world. Matching the spirit of the season, the many local events of bike month are exercises in light-hearted and cheerful consciousness-raising. They encourage people to ride their bicycles in ideal conditions. But is there more to it than just a good time? In my research for Bike Battles: A History of Sharing the American Road, I chose to re-examine what some consider a toy and a plaything to find the more complex stories of urban, environmental, and policy history hidden below. Can we do the same with National Bike Month? 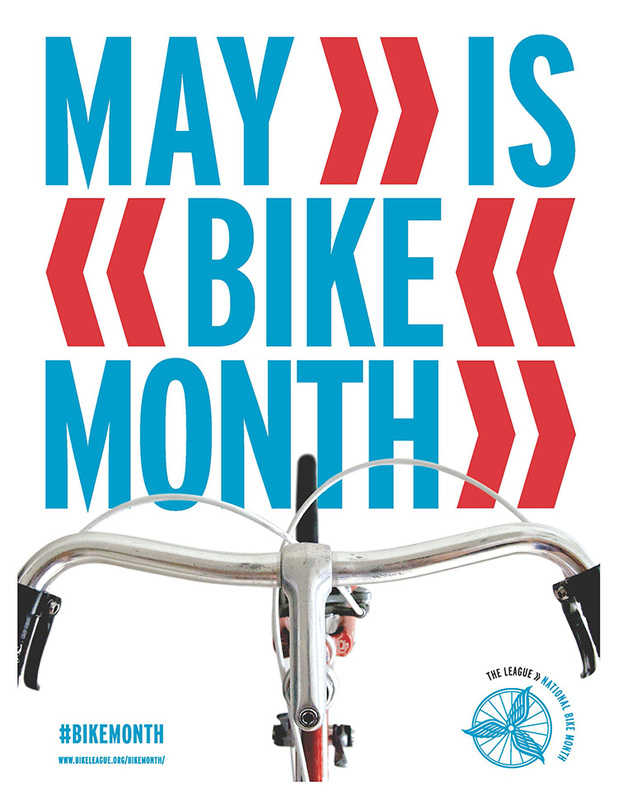 Like many of our national holidays, National Bike Month is an invented tradition, created and modified for changing publicity, marketing, and educational purposes. It’s part of a pattern of similar events, like Bike to Work Week and Bike to School Day. Some have come and gone, like the 1976 Bikecenntennial tour; others are brand new, like the National Bike Challenge organized by industry-supported People for Bikes. 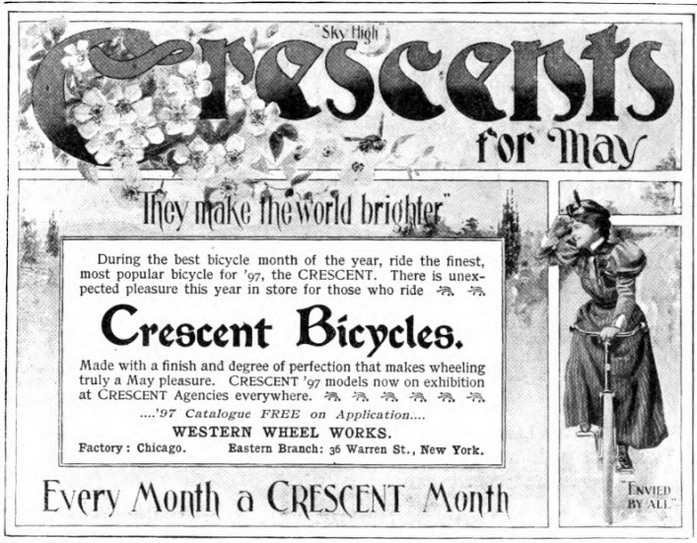 In the twentieth century, the postwar history of National Bike Month begins with the theme of safety. 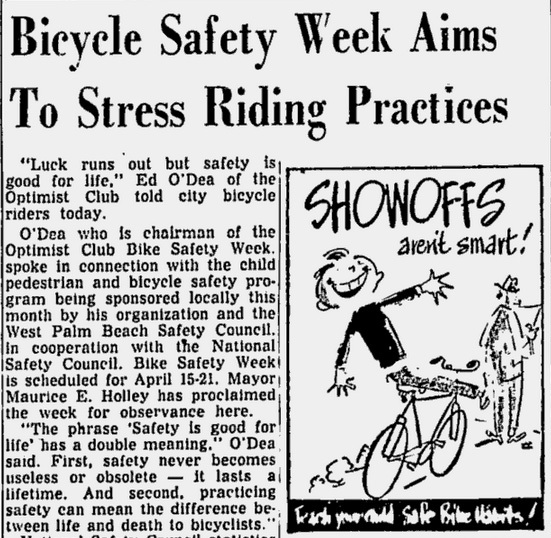 Local and state organizers promoted spring “Bicycle Safety Weeks” in the decades after WWII. Many such events were organized in April by elementary schools, police departments, and local chapters of the Optimist Club, a civic fraternal organization. Their intended audience was almost exclusively children. 2015 poster from the League of American Bicyclists. Even this brief history shows significant change. In the 1950s, safety week events taught traffic rules to children, making it seem that adult cycling for recreation or transportation might be an aberration. New concerns about adult health and environmentalism were added in the ‘60s and ‘70s, but the BIA still continued the focus on children, the major market for American manufacturers. Today the League tries to build advocacy consensus by appealing to all riders: recreational or practical, child or adult. These events changed according to the politics of the promoters and the concerns of their era. Really only one thing stayed the same: the season. As the New York Times pointed out in 1957: “These are the days the bicyclist waits for, the warm days but not yet hot days, when clear skies and the burgeoning greenery welcomes people of all ages into the outdoors again.” Which reminds me, I have to go for a ride. James Longhurst is associate professor of history at the University of Wisconsin-La Crosse and author of Citizen Environmentalists. His newest book, Bike Battles, is receiving national attention. 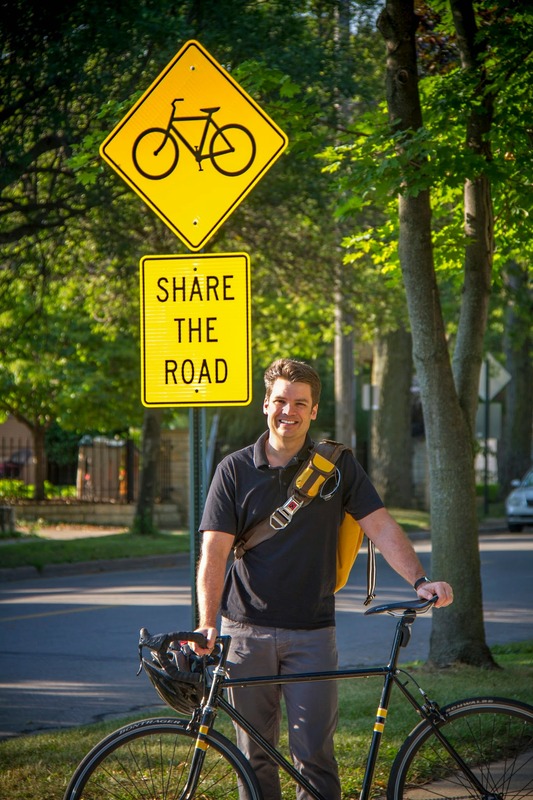 This entry was posted in Current Events, Guest Post and tagged BIA, Bike Battles, James Longhurst, League of American Bicyclists, National Bike Challenge, National Bike Month, Paul Dudley White, University of Wisconsin, University of Wisconsin-La Crosse on May 14, 2015 by uwpressblog.